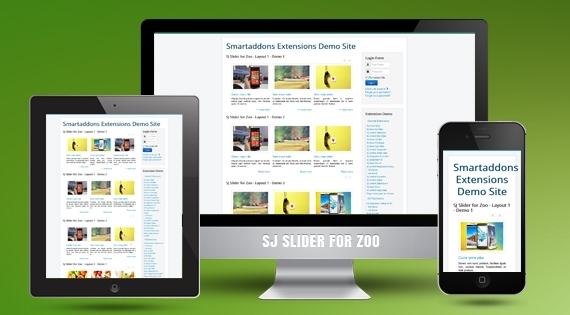 SJ Slider for Zoo - Joomla module has been released to meet all of customers' needs. This time, SJ Slider is built not only for Zoo component, to show information with very nice effects on the front-page: articles, descriptions, titles, images..., but also with the aim of reducing the square of needed information-showing and providing a quick overview of items to proper audiences. With responsive webdesign and a lot of options to control the module, you will be satisfied with this brandnew product of us. Keep updating other Joomla extensions of Smartaddons to see what we have done for you! Don't forget to check our demo for more details!